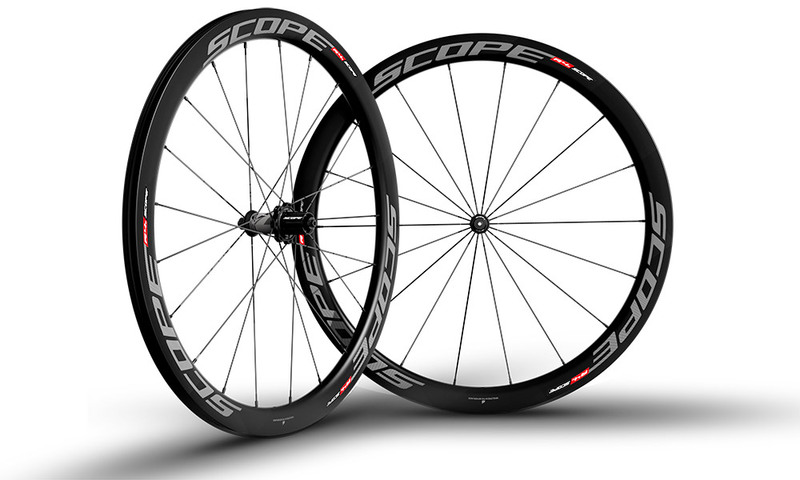 Scope Cycling is an independent wheel designer and manufacturer, based out of the Netherlands. The company was started by two ex-professional cyclist who were were shocked to learn how expensive high-end cycling components are after ending their cycling careers in which sponsors provided them with the best components available. In response, they set out create a line of high end carbon wheels at a fraction of the price. After having been brutally put to the test by the Low Factory Racing Team, we can confidently say that the guys at Scope have accomplished their mission. These are some of the best wheels we have used, even when compared to some of the most respected brands in the carbon wheel world. In recent product testing, Bike Rumor found the aerodynamics on the R4 disc version superior to even the mighty Zipp 404. Possessing the rare dual attributes of affordable price and excellent performance, we are proud to offer their full product line for our road and cyclocross bikes. Head over to scopecycling.com for full product info.